Its Tuesday, the Tuesday before we play Egypt’s Zamalek in what should decide our Champions League fate. As we ready ourselves I’m thinking…Isn’t it ironic that the Group stage we have so earnestly sought these years arrived and we were not even prepared for it? In my youth service days in Kogi State, I saw a movie where someone said something that stuck. He said, “Never let the future meet you unprepared”. You know, you can have your expectations, waiting for the D day only for it to come and you realize that you were not prepared. I’m looking at Sundowns and it’s evident that their success is no fluke. Teams don’t ‘rule the world’ by accident. They prepare, they take time to get themselves ready such that when the opportunity presents, they’ll take it. It’s just like a striker who wants to be the best goal scorer in a League or team. Your trainings cannot just end with the regular trainings with the rest of the team. There must be extra hours on the training ground, extra hours even during holidays. It’s as simple as that. I’m looking at Enyimba and honestly it looks as if it’s the same vicious circle annually. Look at us for instance, we are in the Champions League, 7th on the League’s log and in the semis of the Federations Cup but how have we readied ourselves for the future? Or would those preparations start three weeks to the start of the coming season? Lemme give an instance. We have battled with goalscoring. Yet we have young strikers, good young strikers in our books who most likely would improve us in the near future. But shouldn’t they be allowed to go on loan seeing they are not ready to feature for us yet. Even if it’s to a club like Abia Warriors or Akwa United. Close enough for monitoring yet exposing them to the hassles of the Premier League. And by next season they would be potent clogs in the Enyimba machine. No disrespect to Abia Warriors, Akwa United and Heartland, a striker like Alloy Brown would walk into their starting XI. We saw flashes of his brilliance and with one year of internship at any of these clubs, we would have a striker with an additional one year experience who we can thrust into action next season. But that didn’t happen. We have a striker (and other of such players) who are as rookie as they were one year ago. No action, no better League experience. We cannot keep doing the same things over and over while expecting a different result. We have to make plans, three year plans, five year plans. And think about it, even if these players become ripe enough with suitors calling from abroad, we can easily sell them and it’s money for the club. My point is, there not one thing we would lose by seeing our players improve. There’s nothing we would lose by planning beyond the current season. 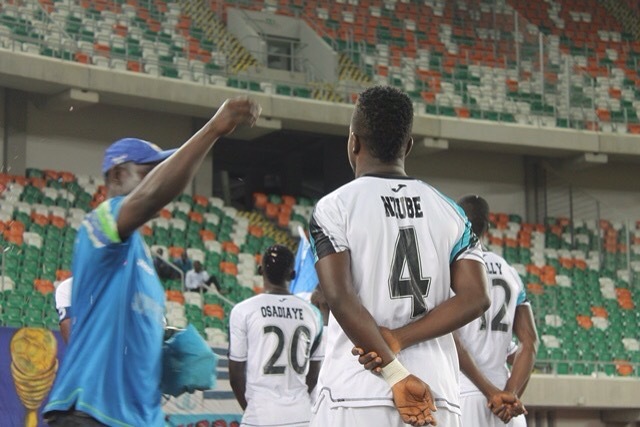 There’s not one thing we would lose by dusting up that structure that ensures Enyimba remains the biggest and best football club in the country. That’s how this club won the Champions League and that’s how we have made name as the biggest club in this country. It’s about time we reminded ourselves and refreshed our minds on who we really are. Previous postFinally Christian Obiozor speaks. Next postWhat if these guys never played for us again?